This is probably the first film of the Terminator franchise I’ve seen, though I have seen bits and pieces of other movies in the past. I don’t quite know how this movie fits in with the franchise, exactly, but I suspect it’s probably supposed to be an alternate timeline. Sam Worthington probably became a favourite actor of mine after watching Avatar… and I liked the character he played in this movie. In the first scene, Marcus doesn’t come across as a conventional good guy… but I think it’s good that that’s how he comes across during the course of the movie. 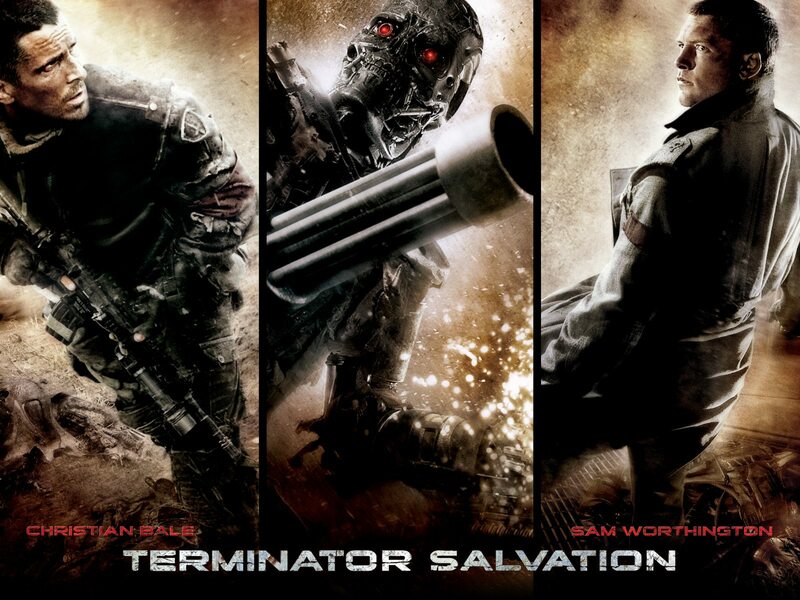 It was interesting to see John Connor in this movie. I like Christian Bale as an actor, too, and I thought he did really well in this role. I wasn’t completely clear on how much his fellow Resistance members knew about his past… but it was good to see his relationship with some of the other characters. I think it would have been good to see more of the camaraderie formed with people fighting alongside each other, though. I thought it was good to see Marcus try and make the best out of the world he found himself in. I liked that he formed a fast friendship with Kyle and Star and it was good to see them working with each other. It would have been nice to see a bit more interaction, but I liked how Marcus protected them and then worked to try and get them back. I recognised quite a few of the actors in this movie and it was good to see them in the roles they were playing. There was quite a lot of action in this movie, but also some quite emotional scenes. And I especially liked Marcus and Blair together. I plan to see the next Terminator movie when it comes out, but currently, this is a movie I particularly enjoyed watching. Even if there were some of the cliched quotes contained within that even I could see.